Today's recipe is for a side dish called Chole Paneer which is a combination of White Chickpeas ( Chole or Kabuli Chana) and Cottage Cheese (Paneer ). White Chickpeas (which are also called Garbanzo Beans) are known to have numerous health benefits. 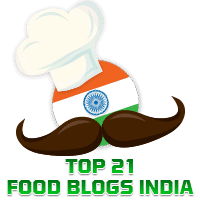 Elsewhere in this blog, you will find recipes for other dishes made with chole/Kabuli chana such as Saag Chole, Pindi Chole and Kadhai Chole. 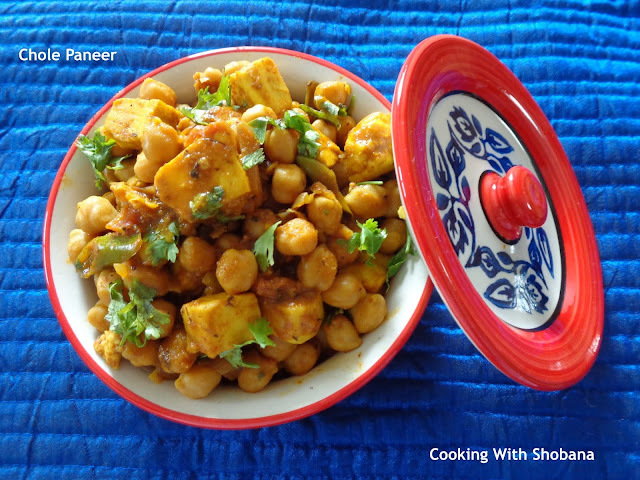 While making Chole Paneer, some add whole spices such as tej patta, cardamom and cinnamon while the chole is being pressure cooked. I have not added these. I have only used black tea bag to add colour to the chole. Wash and soak the chole in adequate water for 8 hours or overnight.